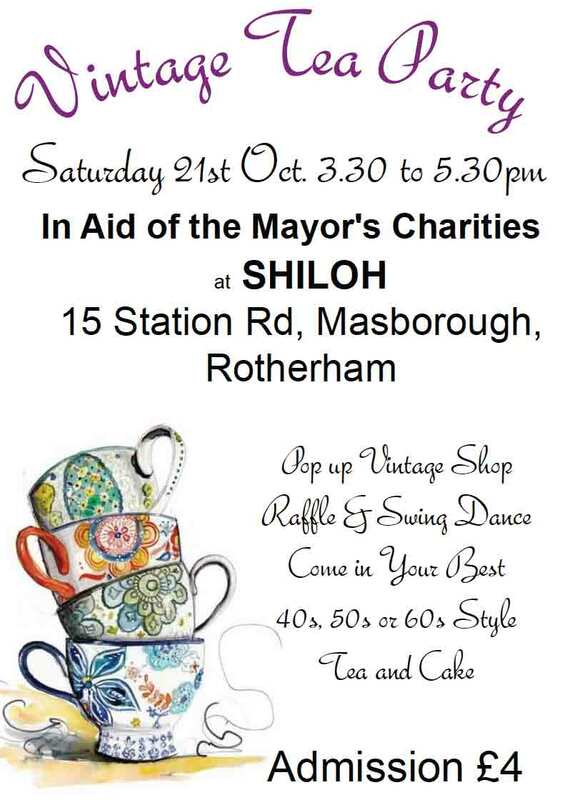 We are holding a vintage tea party on Saturday 21st October from 3.30 to 5.30pm in aid of the Mayor’s Charities. It includes a pop up vintage shop, raffle, swing dance, tea and cake. Come in your best 40s, 50s or 60s style. Admission £4 at Shiloh, 15 Station Rd, Masborough, Rotherham.